The other day, these pages called for New York to stand up for teachers by letting them decide for themselves whether they are going to pay their union dues. We were referring to the automatic deduction on teacher paychecks, which the city pays for and manages — and which guarantees the union money for all its political efforts whether or not its members approve. The day The Post editorial appeared, the US Supreme Court heard arguments in a case that takes this issue far beyond teachers. In Harris v. Quinn, plaintiff Pam Harris is an Illinois mother who cares for her developmentally disabled son, Josh, at home. Josh receives Medicaid money. Though his mom never joined the Service Employees International Union — with whose politics she disagrees — thanks to decrees by Govs. 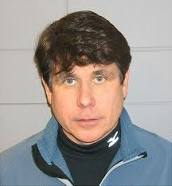 Rod Blagojevich and Pat Quinn, she was declared a public employee. Translation: She has to pay union dues. Which means that some of Josh’s payments from Medicaid are siphoned off and sent to the SEIU. Harris says this is unfair, and violates her rights to both free speech and free association. She is absolutely right. In a decision back in 1977, the high court said workers could be forced to pay dues that go to collective bargaining, but that they didn’t have to pay for money used for political activities. But as we see in New York, when the union is a public-workers union, this line between political and non-political becomes harder to draw. For example, when the SEIU calls on Mayor de Blasio — its choice in the last election — to raise taxes on the wealthy to fund universal pre-K, how is that not political speech? In many ways, the Supreme Court case echoes Mayor Bloom­berg’s parting warning about the labor-electoral complex that cannot function without forced dues. Bloomberg was right. And as more and more workers like Pam Harris are effectively forced into public-sector unions they must financially support, it’s time for the Court to restore the balance in favor of their First Amendment rights to decide what organizations they want to join and which they will financially support. Jan 21 (Reuters) - The U.S. Supreme Court seemed unlikely on Tuesday to embrace a sweeping argument advanced by a group of Illinois state employees that paying mandatory union dues violates their free-speech rights. A handful of home-based personal care workers, represented by National Right to Work attorney William Messenger, is arguing that the Abood standard should be overturned. Payment of mandatory dues, they argue, is the type of forced association and speech prohibited by the U.S. Constitution's First Amendment. But during an hour of oral arguments, Justice Elena Kagan said the court has given the government a "very wide degree of latitude" to manage its workforce. Public-sector employees can be fired for making statements in the workplace that would, on their own time, be legally protected, Kagan said. "So you're saying, well, the government can punish somebody for saying something, but the government in the exact same position cannot compel somebody to say something they disagree with. And I want to know what's the basis for the distinction," said Kagan, one of four liberals on the nine-member court. Conservative Justice Antonin Scalia said, "I want to hear the answer, too, because contrary to what Justice Kagan suggests, I didn't say your First Amendment argument was valid." Several members of the court appeared more open to narrower questions raised by the Illinois case, such as when specific union activities may be political in nature. The case - Harris v. Quinn - was brought by Pamela Harris, of Illinois, who cares for her 25-year-old son Josh Harris, who has a rare genetic syndrome and needs round-the-clock care. For more than a decade now, home-based workers in Illinois have been represented by SEIU Healthcare Illinois-Indiana. The collective bargaining agreement between SEIU and the state provides that all such workers pay compulsory union fees. Harris, along with other home-based workers, sued Illinois and Governor Pat Quinn, a Democrat, claiming that the compelled payment of union dues was a form of forced speech prohibited by the First Amendment. The legal question presented by Harris v. Quinn is nearly identical to the one decided by the court in the 1977 Abood case. Observers wondered whether the court's decision to hear Harris's appeal signaled a willingness to revisit the issue. The case also came on the heels of the Supreme Court's 2012 decision in Knox v. SEIU, a narrower case in which the justices were skeptical of the SEIU's opt-out procedures for dues payment by public employees in California. Some of the justices on Tuesday questioned when unions representing public-sector workers may cross the line from non-political to political activity, and if and where that line could be drawn in specific cases. Harvard University law professor Benjamin Sachs said that it is impossible to predict how the justices will decide a case. But Kagan, Scalia and other members of the court noted on Tuesday that the Supreme Court has consistently affirmed that states can dictate the terms of employment relationships, including that the First Amendment rights of employees can be circumscribed in the workplace, Sachs said. "If you can glean anything from the oral argument today, it's that possibly a majority of the court is being careful to adhere to that long-standing precedent," Sachs said. 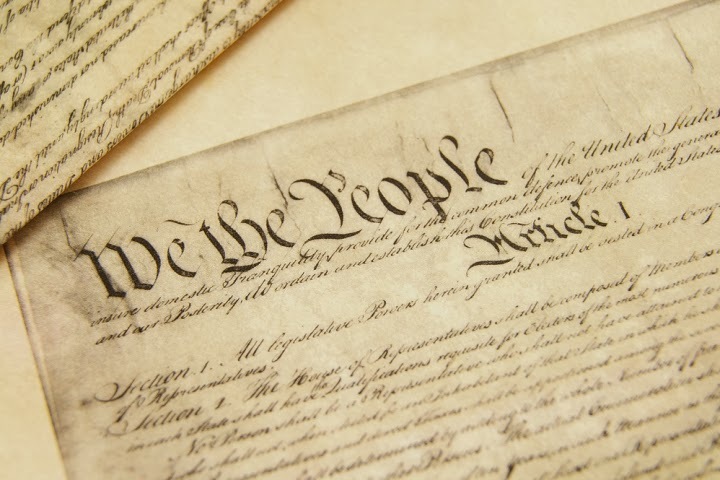 Issue: (1) Whether a state may, consistent with the First and Fourteenth Amendments to the United States Constitution, compel personal care providers to accept and financially support a private organization as their exclusive representative to petition the state for greater reimbursements from its Medicaid programs; and (2) whether the lower court erred in holding that the claims of providers in the Home Based Support Services Program are not ripe for judicial review. Argument preview: Is Abood in trouble? Nov 13 2013 Record received from U.S.C.A. for 7th Circuit is electronic.